State senators will take a first step Tuesday toward potentially bringing in large amounts of renewable energy to New Hampshire. 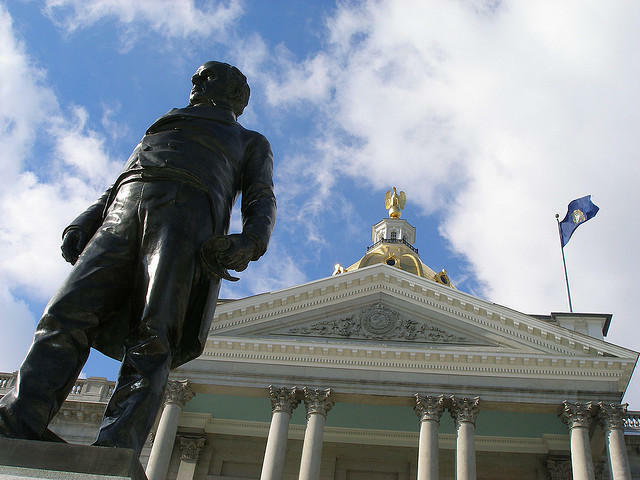 The Senate Energy committee will hold a public hearing on a bill that could lead to a competitive energy bidding process like those used in Southern New England. Renewable energy developers competed in the past few years for big contracts to supply energy to Massachusetts, Connecticut and Rhode Island. Those states' requests for energy proposals spurred development of offshore wind, hydro-powered transmission lines and large-scale solar arrays. The Massachusetts procurement initially focused on Northern Pass, before that power line proposal hit the skids in New Hampshire. Massachusetts regulators instead contracted with a similar project in Maine. Now, New Hampshire Democrats want to look into doing a similar competitive process – whether for contracts with multiple developers or a single big project – here. Their bill would form a commission of government officials and stakeholders in business, energy and conservation. The group would study cost-effective ways to set up big, long-term renewable contracts or procurements with various renewable energy resources. They’d report back with recommendations to the legislature and Public Utilities Commission by this October. The committee hearing on the bill is 11:20 a.m. Tuesday in State House room 103. Concord begins work Tuesday on planning how to use only renewable energy to power the community within a few decades. The capital city passed a goal last summer of going all-renewable for electricity by 2030, and for heat and transportation by 2050. On Tuesday night, they'll hold the first of three public input sessions on how to achieve those goals. Keene is the latest New Hampshire municipality to approve a goal of using only renewable energy within a few decades. The Keene city council approved the non-binding resolution Thursday night 14 to 1. It says the entire community should work toward using only renewable fuels for electricity by 2030, and for heat and transportation by 2050.